A foot-tappin' batch of Rock Instrumentals sure to make drivin', lovin', and livin' more Jammin'. 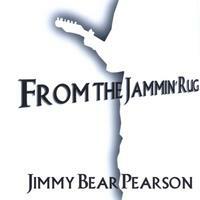 Jimmy Bear's third album, "From The Jammin' Rug", is a foot-stompin', party-throwin', road-trip drivin', get your feet tappin' album from stem to stern! The influences of this album reach from Eric Clapton to Herbie Hancock, and lots of Jazz and Classical in between - all voiced in interesting, rockin' instrumentals. Jimmy Bear Pearson is a musical artist who has been performing and interacting with music on and off for several years. He has played several woodwind, brass, and stringed instruments throughout school and has had musical training. His music is influenced by a huge variety of contemporary and classical artists.